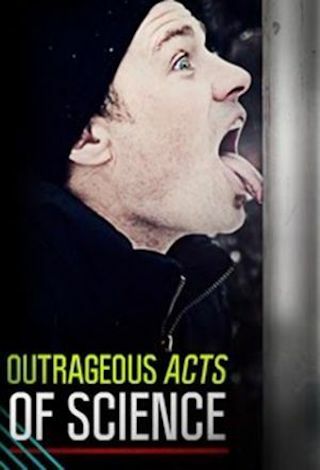 Outrageous Acts of Science is an American 60 minute reality comedy television series, which kicked off on April 20, 2013, on Science and is broadcast every Wednesday at 21:00. The show is currently in its 10th season. Science is yet to announce the renewal of Outrageous Acts of Science for Season 11 as well as its cancelation. Sign up to track down the show's status and its release date. The internet is ridden with clips of people doing crazy, hilarious and downright amazing things and on Outrageous Acts of Science, we highlight the cream of the crop. From human powered flying machines in Canada, space explorers in the UK, backwards talking girls in the US and the New Zealander that built a robot rock band the show counts down a definitive top 20 clips of people doing the extraordinary in each episode. With episodes dedicated to homemade inventions, human guinea pigs, nature obsessed thrillers and pure danger junkies the team of scientists deconstruct and explain how each action in the clip worked, how risky it was and above all exactly why it shouldn't be tried at home.